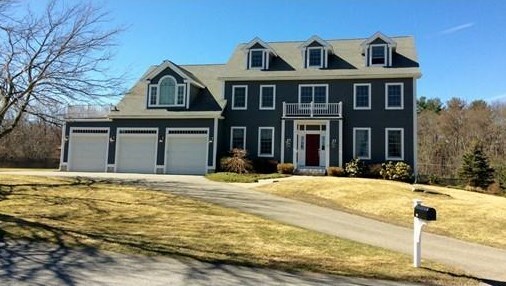 This stately young colonial has it all! 5 BR's, 3.5 baths, expansive lot in convenient N. Sudbury neighborhood. Fully finished lower level with guest room, full bath and 2 sets of french doors that lead to side yard. Fully finished 3rd level, perfect for teen hang out or family game night. 1st fl office w/coffer ceiling. Gorgeous LR w/crown & dentil molding flows easily to the finely appointed DR. Warm, custom cherry kitchen w/granite counters, stainless appliances & sliding door to private patio & yard beyond. Spacious family room with FP. Easy mudroom entry from the 3 bay attached garage. Generous BR's w/custom closets, 2nd fl laundry & a Master Suite sure to be the envy of all w/huge walk-in 'California' closet. Mstr bath w/his & her vanities, tiled shower, soaking tub & water closet. View the stars & enjoy the south facing pastoral views of conservation land from your master roof deck! 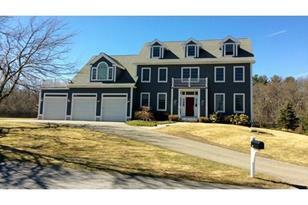 Close to the HS & Elementary, MBTA Train, Roads & popular Verrill Farm Stand @ Nine Acre Corner! 11 Frost Lane, Sudbury, MA 01776 (MLS# 71972941) is a Single Family property that was sold at $1,050,000 on July 06, 2016. Want to learn more about 11 Frost Lane? Do you have questions about finding other Single Family real estate for sale in Sudbury? You can browse all Sudbury real estate or contact a Coldwell Banker agent to request more information.